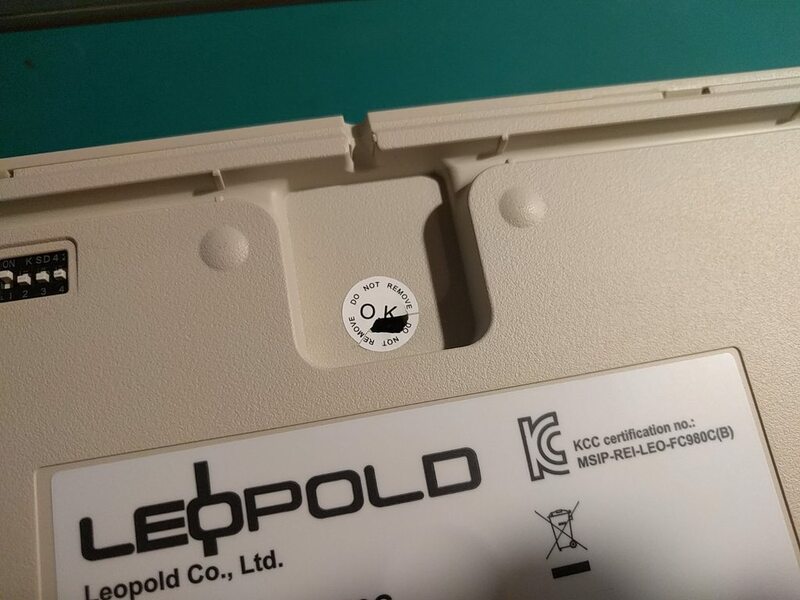 This controller replaces original controller of Leopold FC980C and make it programmable with my TMK firmware. 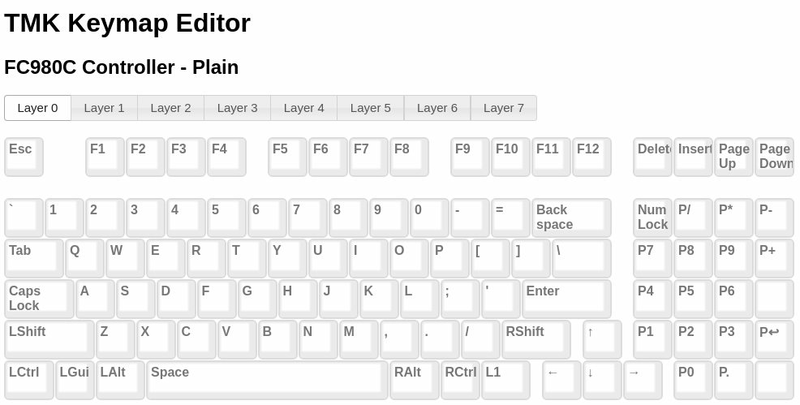 Keymap Editor is also offered for ease of use. Note: R4 and C10 are intentionally unpopulated. 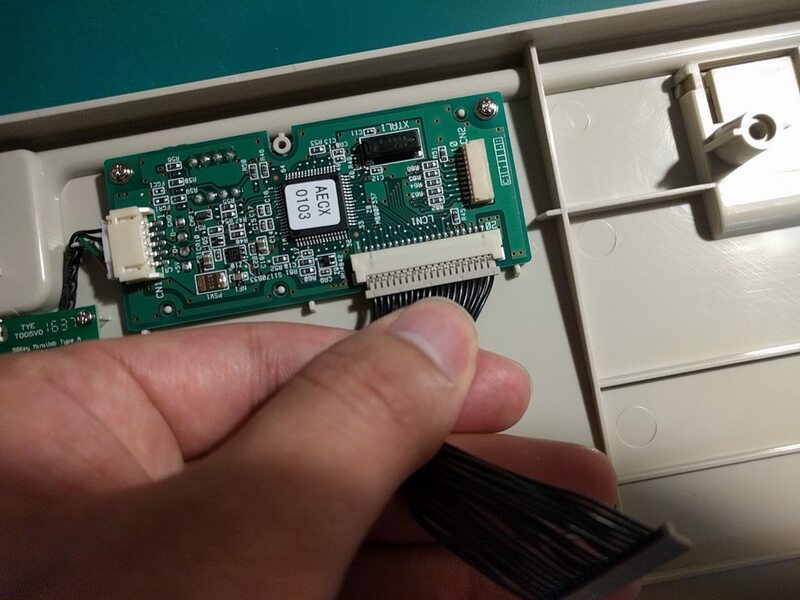 Original controller of FC980C looks like this, for reference. I'll share technical infos and findings I get in this project with community, also firmware source codes also will be published as opensource/freesoftware under GPL, immedately as possible. I don't decide it yet but controller PCB design files will be shared under license like CC-BY-NC-SA after certain term. I believe this GB can contribute to keyboard community to some extent in terms of these points. Post your question or suggestion here. You can email me if really needed. Demand for this controller is very little now, next round won't happen anymore. I'll stop producing this controller when components in hand runs out. At least 24 pcs can be assembled before the shutdown, it is enough for demand for several months probably. You can still get this controller from Letfover sale, see below. Back in stock now! (2019-03-01) It can be shipped within a week. Email me at hasu@tmk-kbd.com with subject "FC980C" to place an order. Let me know how many if you need more than one. I'll send PayPal invoice to your email address. Do not PM(Private Message) me. Payment: PayPal invoice will be sent. You can use credit card or PayPal account for payment. Please make sure you supply correct shipping address on Paypal when making payment. Shipping: Registered mail. Trackable in most of countries except for Canada and China. Shipping cost is same rate for all countries as far as Japan Post can cover. 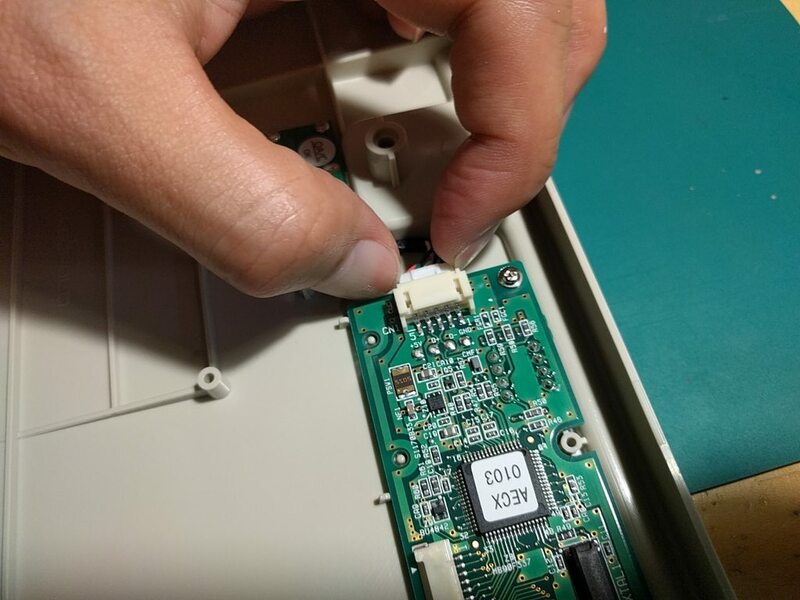 - On controller PCB R4 and C10 are intentionally unpopulated. 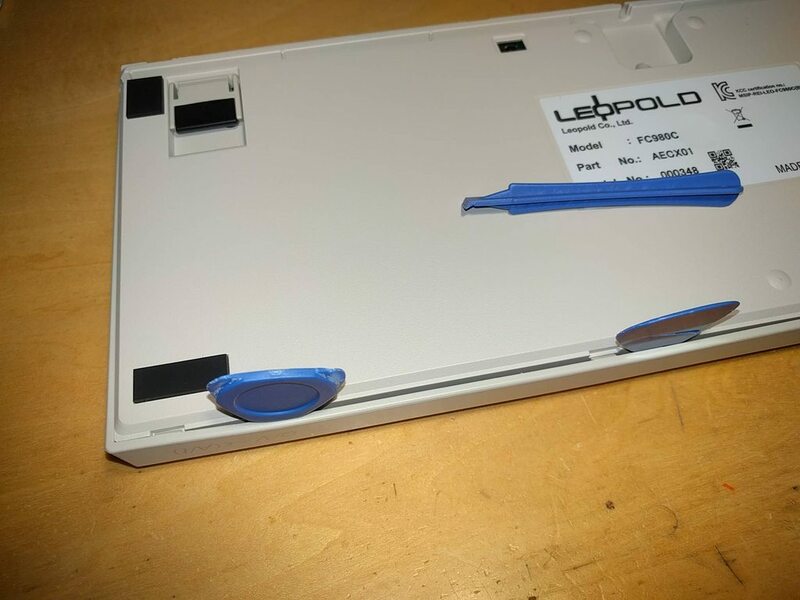 You have to void warranty from manufacturer to do this mod, of course. and unscrew three bolts on bottom. Crack it open using tool like phone openner or plastic card with care. 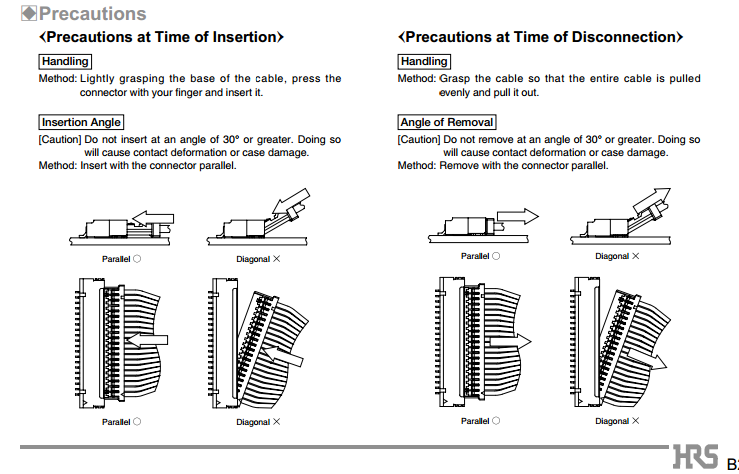 Cable harness between boards is very short and you have to be careful when mate/unmate it. 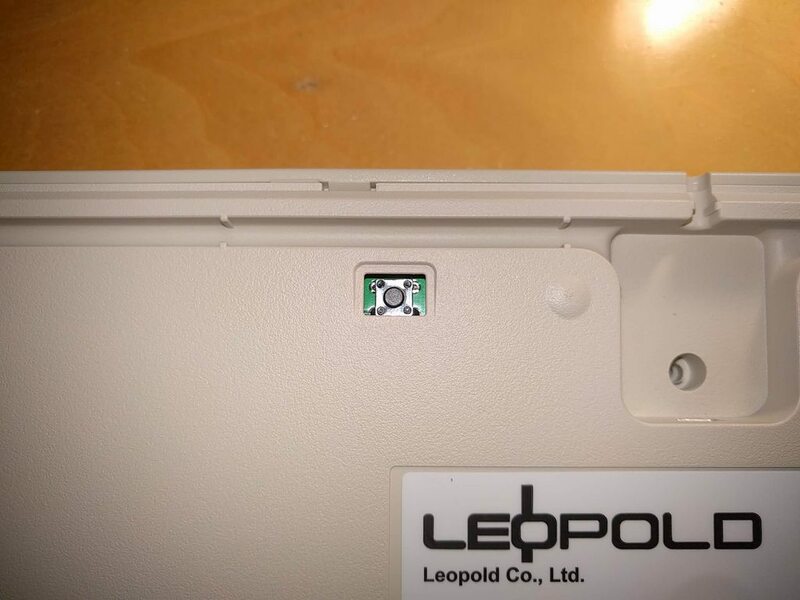 Use fingertip or nail for this connector and unscrew to remove controller board. 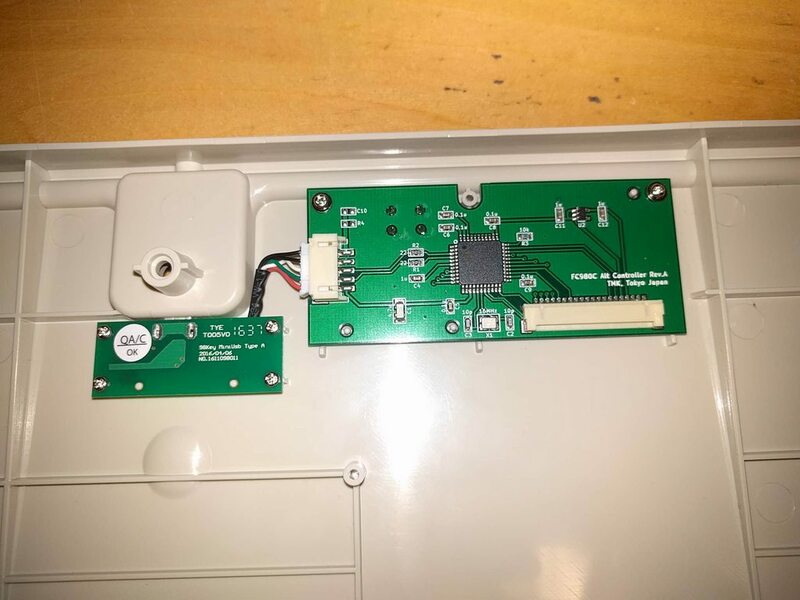 Fixed controller board with two screw. You can configure key mapping and download firmware with web browser. Chrome is recommended. 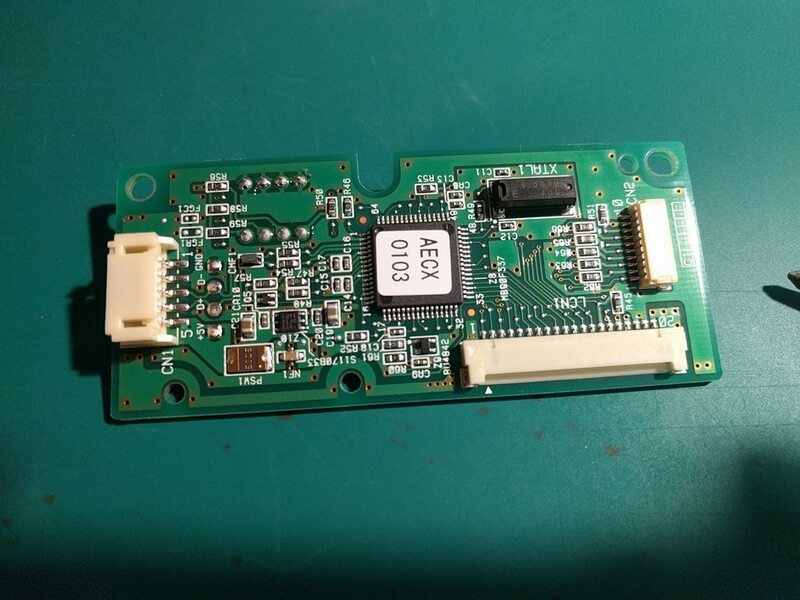 The Controller has ATmega32U4 as a microcontroller. Press button on bottom to turn into programming mode. To flash firmware you need tool like FLIP or dfu-programmer, refer to this wiki page for detail. Build firmwre yourself when TMK Keymap Editor is not enough for your need. Next batch of pcbs will be ordered and assembled in next several weeks. 2017/07/28 controllers were tested and ready, they will be shipped in a week. Once orders reach the mark I will buy the keyboard and start development immediately, it will take one or two month. This GB won't happen and your money is fully refunded unless the MOQ is met til the closing date. I'm almost confident that I'm able to do this job but you are also fully refunded if I fail to deliver controller for whatever reason. I think there is virtually no risk for you to join this. Thank you hasu for doing this, order just sent. I mean we need more participants to meet MOQ. Personally don't need one, but I've shared this around to try and garner some orders. Is this compatible with the FC980M? If so, I'm in. No the FC980C is topre, completely different electronics. 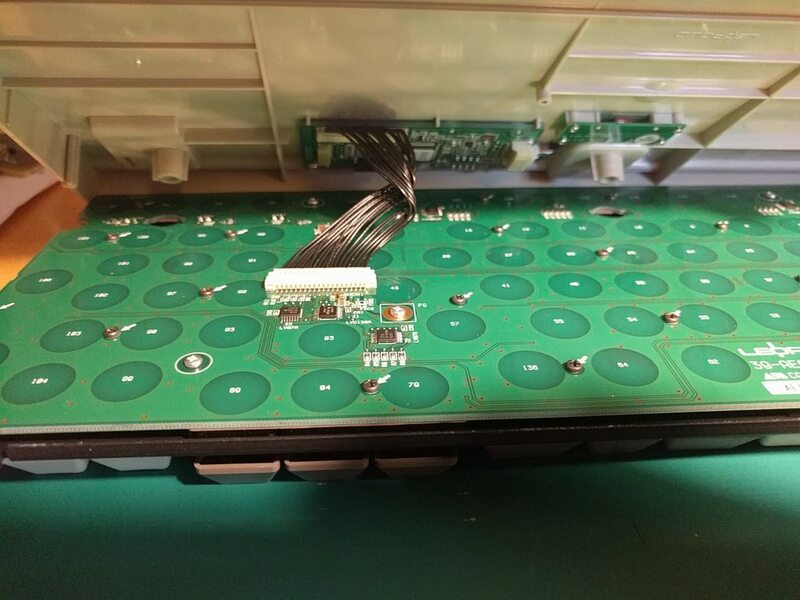 FC980M has its controller on keyboard PCB, you cannot replace controller in fact unfortunately. Bummer, but kind of what I was anticipating. Thanks anyways! I'm in! Just sent you an email. SpAmRaY, good idea. I setup my sig too! Didn't even see this yet. Looks very interesting. This works only with FC980C. Contoller of the two keyboards are not identical physically at least. Hasu always delivers what the people want. How are the keycaps on the two colours of the keyboard different? Are they the same material? Love my 660C controller immensely. GL! Nearly the same. The colours are the only difference between the two models. In for one! Thanks Hasu! Hit 15 of the MOQ now!! Thank you for your support. I ordered and have FC980C in the mail I'll start design controller immediately and keep you updated here. Good luck! Did you find anywhere that had one for less than ¥29,000? I got a second hand at a bit lower rate. 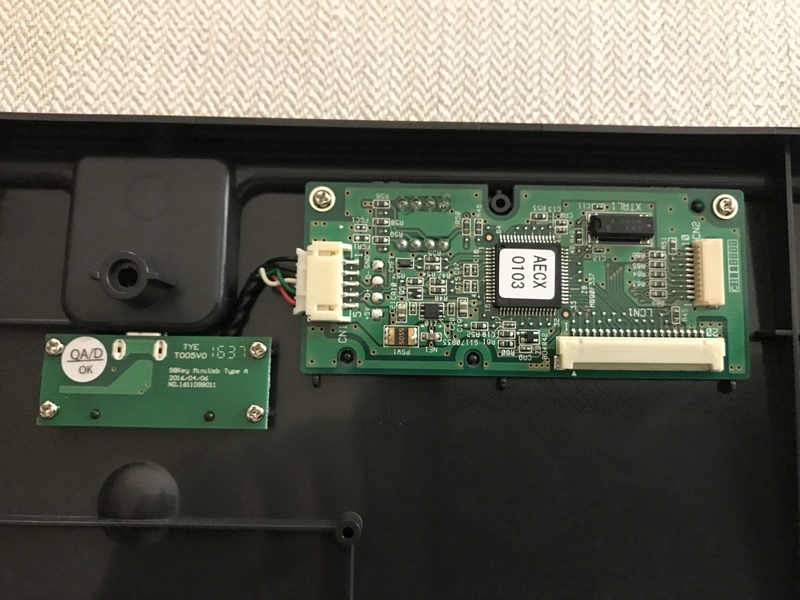 I examined FC980C and found it is almost equivalent electrically, next wrote initial firmware and verified it with FC660C Alt controller. I designed pcb for the controller these days and am about to order pcbs now. Everythig goes well so far. Setup a thread in "Making Stuff Together!" subforum for technical discussion. Just got my hands on a 980C, are there extras coming that can be ordered? yes. you can still email me to place order. The controllers from first batch are ready now, and will be shipped next week. Your controller comes from first batch if you already paid invoice until now. No leftover from first batch. Second batch will occur in next several weeks. Received mine today and installed it. Works perfectly, thanks Hasu! Actually I'm having an issue with programming the board. It seems as though the LCtrl key is outputting whatever I program the RCtrl key to. For example, if I program the original RCtrl to "A", my LCtrl key will output "A", no matter what I map LCtrl to. It's happening with both of my controllers, so I'm not sure what the problem is. Thanks for reporting, I found a bug in firmware and just updated source code and keymap editor now. Try keymap editor again please. You may need reload page(F5 or Ctrl+F5) in browser to use new editor. Works fine now, thanks for the quick fix. I got my controller last week, now I need to stump up the cash for an actual keyboard Thanks Hasu! 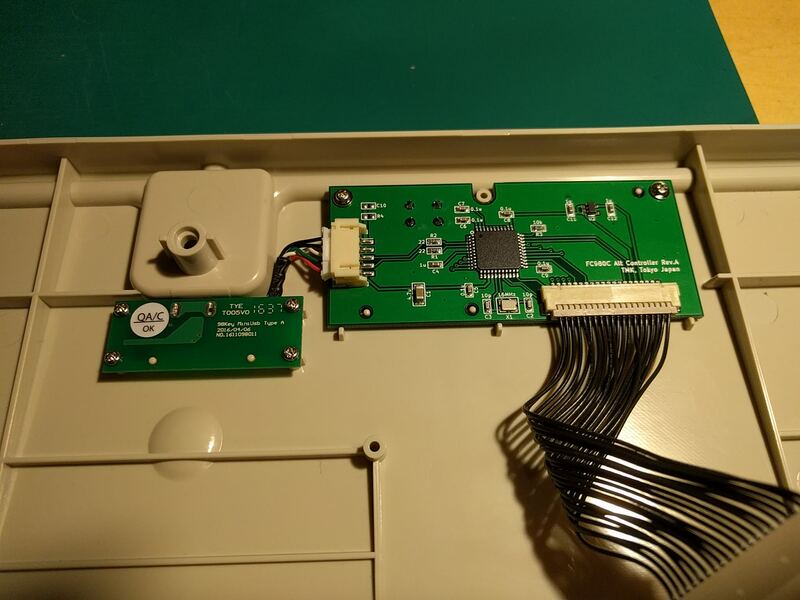 I think FC980C controllers from first batch are starting getting to you and some of you installed it now. I like to hear feedback from you and improve this project. Post your suggestion, question and problem here. Got mine, installed and flashed it. About as smooth a swap as you can hope for. Got mine too, first time using TMK but everything works just fine. Very happy customer. 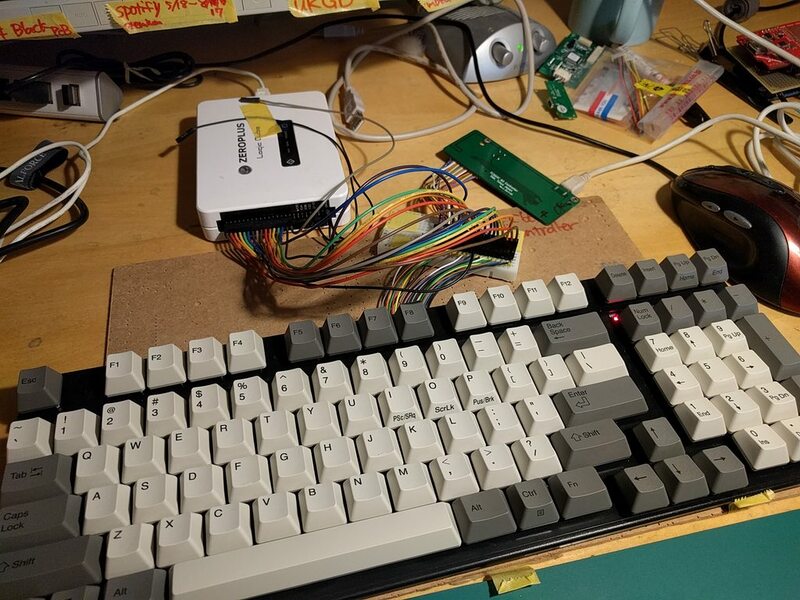 I just want to report that I'm currently writing with my fc980c using tmk controller. I had to patch hasu's sources to enable legacy actionmap feature. I haven't updated to unimap yet and since all my other keyboards run with legacy actionmap I'll keep it this way for now. With actionmap in place I can finally use my keymap and switch fn/ctrl on fc980c. Thanks hasu! Thank you for your feedback, folks! xauser, checked the fix at your repo, nice! I'll add actionmap and legacy keymap support to my fc980c repo later. Received my controller today. Thanks for all the work you do, Hasu! 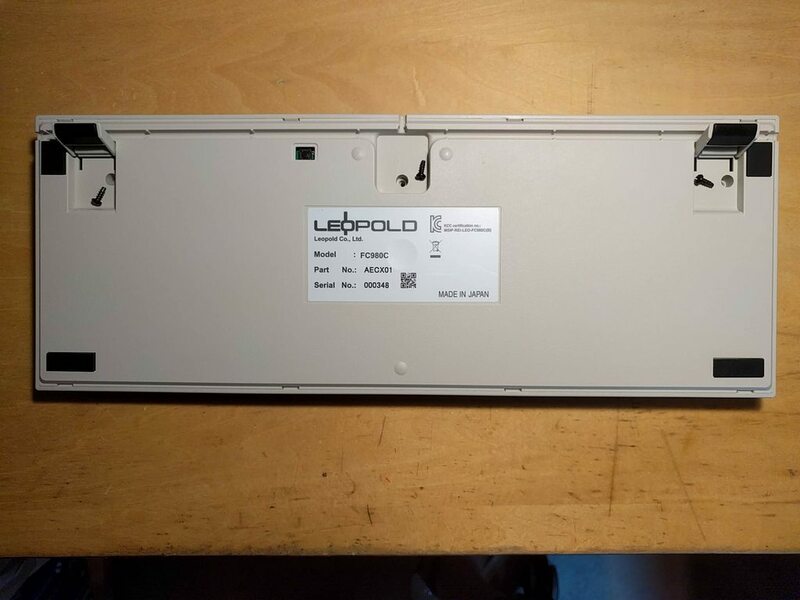 Great job Hasu thank you mate..
i would buy it for my other Leopold FC660M but alas that doesn't exist.. If you ever plan on making one for a 66% board let me know ..i'm in..
Demand for this controller is very little now but still available so far. I'll stop producing this controller when components in hand runs out. 30 pcs can be produced from the compoenents. Updated firmware. This change increase scan rate and disables debug print to accept fast key input . Never got report from users but If you experience drop or transpose keys in fast typing try new firmware. You can download from keymap editor or build from the latest source code. Is there a way to reduce the delay for activating a modifier key when using dual-role (ACTION_MODS_TAP_KEY)? I currently have my left shift key activate caps lock on tap, and my caps lock key acting as Layer 1 key when pressed, backspace on tap. I noticed there is a considerable delay when I try to activate shift or Layer 1. I type fairly quickly, so the delay is really messing up my speed. I attached my hex file in case I might have done something wrong. I've only been using the keymap editor, still very new to TMK. you can change the delay(200ms) with defining TAPPING_TERM in config.h. you have to build firmware form souurce codes. When this doens't work you have to change codes under tmk_core/.